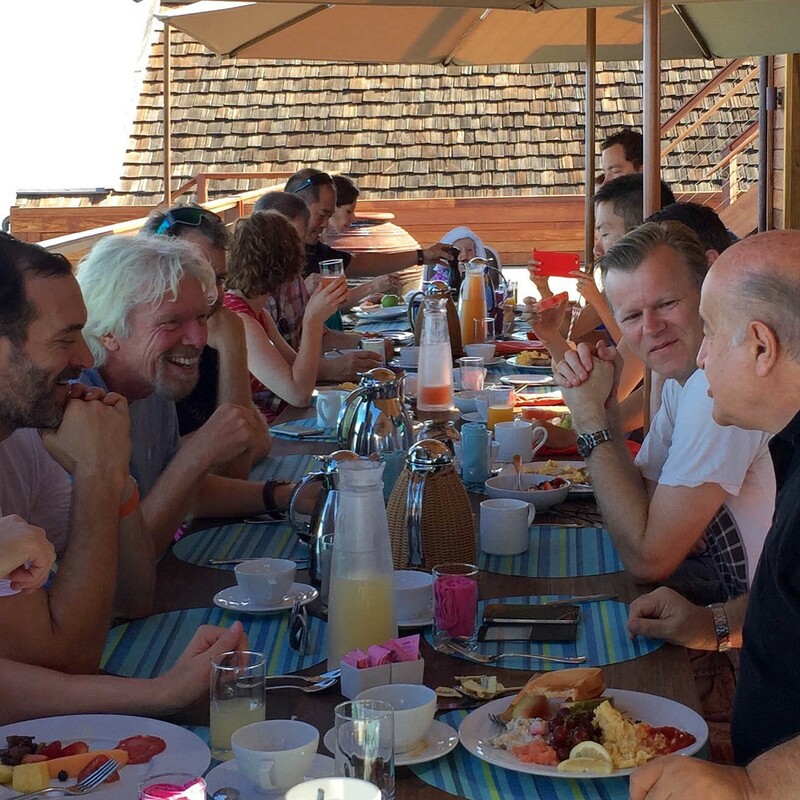 Some of the world’s greatest minds met on Necker Island in May 2015 to discuss blockchain technology with a mission of global, social impact. About the author: Will O’Brien is a serial technology entrepreneur and investor in the cryptocurrency industry. Follow me and share your thoughts @willobrien. 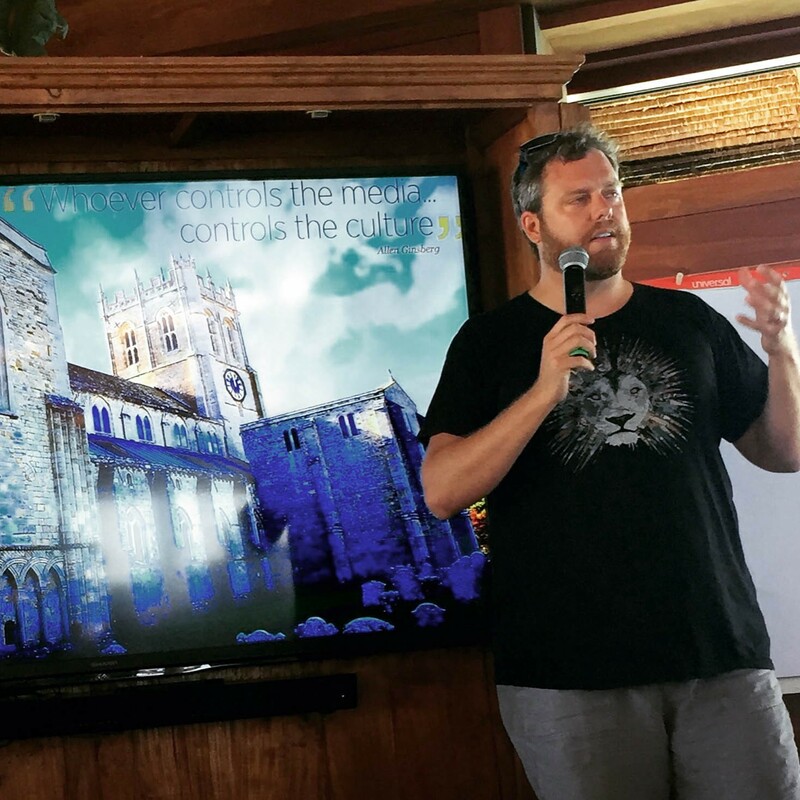 Last week, I had the honor of attending the inaugural Blockchain Summit, a workshop hosted by Sir Richard Branson, mining juggernaut BitFury Group, and entrepreneur network Mai Tai Global on Necker Island, Branson’s private island in the BVI. The relatively small yet diverse group of 45 participants included a bitcoin core developer, a renowned global economist, a senior columnist from the Wall Street Journal, an IoT expert, an astrophysicist, several bitcoin entrepreneurs and investors, and policy and legal professionals. Without question, this was the most inspirational and impactful event I have participated in since joining the world of bitcoin in 2012. There has been a great deal of interest in the Blockchain Summit and I wanted to share my reflections on this amazing experience. The overarching takeaway from the three days spent on Necker was a change in the tone and tenor of discussions. As an investor and entrepreneur in the cryptocurrency ecosystem, I often hear people talking about what can be done with bitcoin and the blockchain. With that mentality, we have reached a saturation of ideas for Bitcoin 1.0. Nearly $700 million in venture capital has been invested into hundreds of companies building the basics — security, exchange, payments, and mining. At this summit, the overwhelming sentiment was about what should be done with this breakthrough technology, and how blockchain can in turn make the lives of billions of people better. Blockchain as a digital registry for identity, whether the goal is fighting human trafficking or giving artists more visibility into the distribution of their work. Many early bitcoiners scoff at the sudden change in verbiage now used by Wall Street, venture capitalists, and new entrants, who seem to applaud the merits of blockchain technology while dismissing bitcoin the currency. I, too, thought this was naive double-speak, but after the week at Necker, I now understand the implication of this change. Bitcoin, the currency, has two roles in my view. First, it is and always will be the global and universal currency that cannot be manipulated by corporate or government interests. But second, and perhaps more importantly, it is the first killer app on the blockchain, and therefore the tip of the iceberg of the future impact of a World Wide Ledger (WWL). What is the importance of a World Wide Ledger run on the blockchain? Melanie Shapiro, CEO of hardware wallet Case, explained it quite eloquently at TechCrunch Disrupt 2015 (start the video at 42 seconds). In other words, the blockchain is the first reliable ledger that can be used on a global scale. Let’s look at each of the three examples discussed at Necker Island. Hernando de Soto, a Peruvian economist and president of the Institute for Liberty and Democracy (ILD), was one of the featured presenters at the Blockchain Summit. He is the author of The Mystery of Capital: Why Capitalism Triumphs in the West and Fails Everywhere Else and is considered one of the world’s leading economists. de Soto’s main work has been to understand how a robust information framework for property rights could have an impact on the development of a robust market economy in frontier nations. Where there is an absence of a legitimate ledger for property title, the poor suffer. When de Soto first discovered the blockchain, he saw the opportunity to evolve from a paper- and cultural-based system of property records to one that is incorruptible and future-proofed. As a case study, de Soto showed the attendees a “chain” of property rights to the farming communities in the Cajamarca Region of Peru where one of the most important Peruvian gold and copper concessions operated by US and Chinese companies is located. More than 26 unique documents describing land and title rights exist spanning from the Spanish conquest to today’s multilateral investment guarantee agency contracts. This chain is rich in culture and national history and cannot be ignored, explained de Soto. But the next link can be on the blockchain, if done so with the collaboration of national governments. This concept has implications beyond Peru, of course, and even beyond property title. Paul Brody, Americas Strategy Leader for the Technology Sector at EY and former vice president in charge of Internet of Things services at IBM, presented a compelling vision of IoT and how the blockchain plays a critical part in our connected future. IoT is a hot category today, attracting significant venture investment and corporate interest, but use cases are still largely academic and theoretical. Brody, who had a key role in the IBM ADEPT proof of concept, shared with the Blockchain Summit attendees why the lack of a use case for IoT is largely irrelevant. He used the lightning adapter, the cord used to charge an iPhone, as an example. This cheap peripheral with a system-on-a-chip now has more compute power than the original iPhone. The cloud model is effectively free. What are the risks of this hyper-connected world? Of course, security is of paramount concern. You don’t want all of your door locks to be suddenly compromised, inoperable or monitored. But a larger risk is the sustainability of businesses to support such a distributed model. Reduced costs will make it easier for companies to enter the Economy of Things (EoT), but who takes responsibility when companies dissolve, leaving their customers with devices connected to failed services? Blockchain as a means of recording identity was a large theme of the summit. Below are three examples. Identity of humans. Actress Lucy Liu briefly attended the summit via video conference to speak with participants her recent directorial debut Meena, a documentary film which aims to raise awareness and increase prevention of human trafficking. In a discussion with Lucy Liu, the concept of a blockchain-based identity for children in Asia Pacific was put forth as a possible technical solution to a humanitarian problem. Identity of media. Oliver Luckett, a digital media executive and CEO of theAudience, shared his insights from developing one of the world’s largest multi-channel publishers of social and digital content. He compared the social graph to a living organism that has super nodes. A super node, in the media world, can be a 13 year old girl who can reach tens of millions of teenagers with a 6-second Vine video, beating traditional broadcast networks at their own game. Luckett explained that a major issue in media distribution is connecting derivative work to original content, either for analysis or attribution. With the blockchain as a ledger for digital media asset identity, Luckett proposed that artists could benefit from learning how their content moves along the digital highways and what audiences it reaches. Identity of anything. Patrick Deegan, CTO of ID3 and Chief Architect of the Open Mustard Seed (OMS) Framework, presented his work on a new self-deploying and self-administering infrastructure to give individuals control over their identities and their data. This framework can enable the formation and self-governance of Decentralized Autonomous Organizations (DAOs) for the creation and exchange of digital assets. Deegan used health monitoring as an example. By tracking the GPS data from personal smartphones, an application built on OMS could predict possible health implications, i.e., those who frequented a bar after work were more likely to develop alcoholism. It’s clear that crypto-identity will be a big innovation with wide ranging applications in the future. 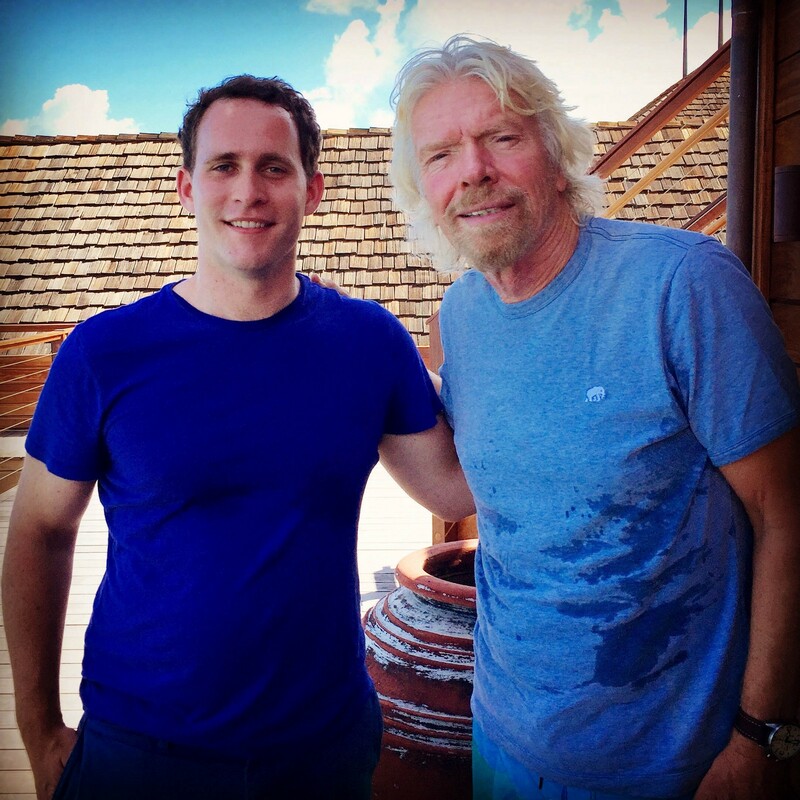 It was an enormous privilege to spend some time with Richard Branson on Necker Island. He shared some important professional and personal lessons. In his opening remarks, Branson encouraged the Blockchain Summit participants to measure their ideas by the amount of global and social impact they would have. This message was a good level-setting for the ensuing discussions and helped everyone take a pause from the hectic growth hacking culture of silicon valley. It was this inspiration, I believe, that led the small breakout groups in the summit to propose blockchain-based solutions for major problems like climate change and voter fraud. Branson also encouraged the group to take time off during the day to explore the beauty of the island and get in the water. On Necker, they offer a variety of water sports — from kitesurfing to sailing to snorkeling. The island is also host to hundreds of species, some of which have been introduced by Branson’s team and have flourished, and we were encouraged to interact with the wildlife. “A balance of work and play is critical,” explained Branson. He said that many of his best ideas come to him when he is kitesurfing or having a restful bath. Branson encourages all of the executives that visit his island to introduce more “play” into their businesses. 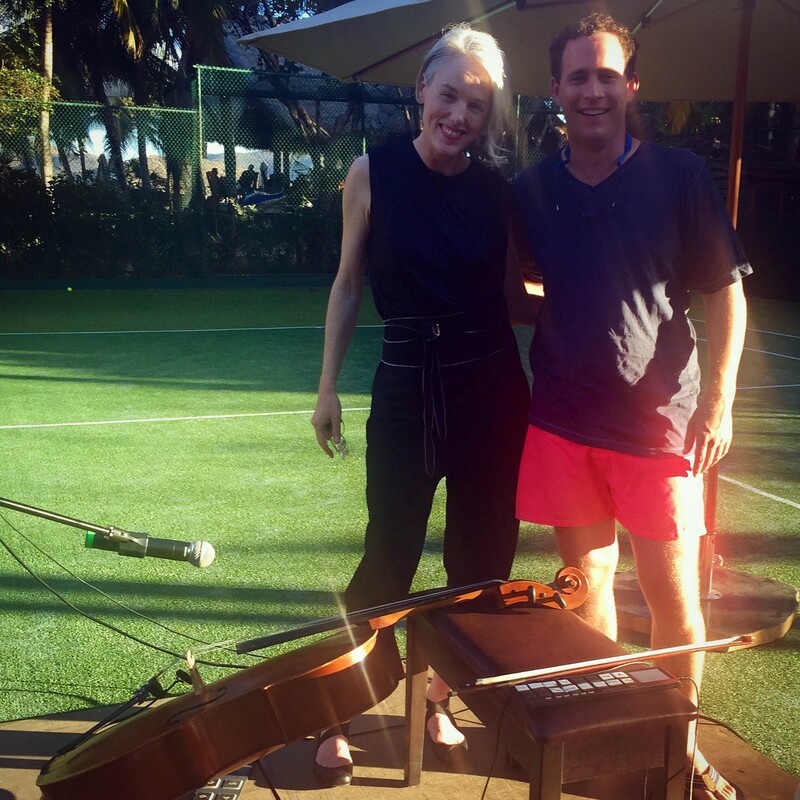 One of the “play” moments was a wonderful concert from Zoe Keating, a professional, improvisational cellist who has more than 1.1 million followers on Twitter. Her music was an inspiration for all of us to expand our minds that evening. Little moments like this one demonstrated how in touch Branson is with the human side of being a business leader. The staff at Necker Island was incredible. They were friendly, kind and welcoming. If you wanted a specialty drink, they would make it. If you wanted to learn to sail, they would teach you. If you told a joke, they would tell one back. While I was on Necker, I wrote a song inspired by the ideas and passion of the participants of the Blockchain Summit, and by the natural beauty of the island. I improvised and recorded it live on the piano at the Great House. I want to extend a big thank you to our hosts and organizers. This event was an incredible experience and clearly successful as the result of a lot of hard work and consideration. If you are looking for more coverage of the Blockchain Summit, I recommend you go to Follow The Coin, the leading video publication for bitcoin and the blockchain. Follow The Coin was the only media publication at the event (outside of moderators from the Wall Street Journal and the Economist) and provided live streaming coverage as well as in depth summaries and interviews. Also follow @BlockChainSum to stay tuned about future events. I’m excited to see what the future holds for the blockchain, our World Wide Ledger. The future is bright.